For the makers of Pokemon GO, the first year was a real dream. Since the launch of the mobile gaming app in the summer of 2016, Niantic has generated over one billion US dollars of sales! This is proven: the game is more than just a temporary hype. Also a year after the release of Pokemon GO in July 2016 the mobile game enjoys great popularity. Just a few days ago, the biggest update of the Pokemon GO story was the one-year anniversary, which, among other things, revamped the Gym Battles, but also brought Raids along! After the initial difficulties, the game has been pretty good. For as Venturebeat reported, Pokemon GO has been downloaded over 752 million times since last summer's release! 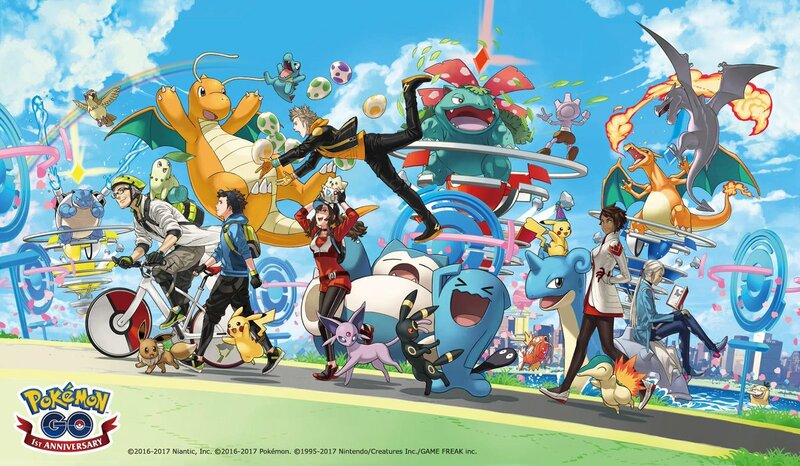 But this is not all: Niantic has so far achieved a whopping 1.2 billion US dollar sales, 950 million US dollars should have flowed alone in the year 2016. In addition, the success has also contributed to the popularity and turnover of other games of the series, it says. The survey, however, were not only concerned with the pure sales figures but also the demographic background. Almost 60% of the players are male, and 38% of the players between the ages of 19 and 34. Pokemon GO is also popular among younger players: 32.5% of players are 18 years or even younger. In June alone, some 60 million people had played Pokemon GO, of which at least 20 percent have opened the game once a day. Even though the last high peak was reached in August 2016 with 100 million users per month, this is still an impressive result. You can find more news on our Pokemon GO News page.